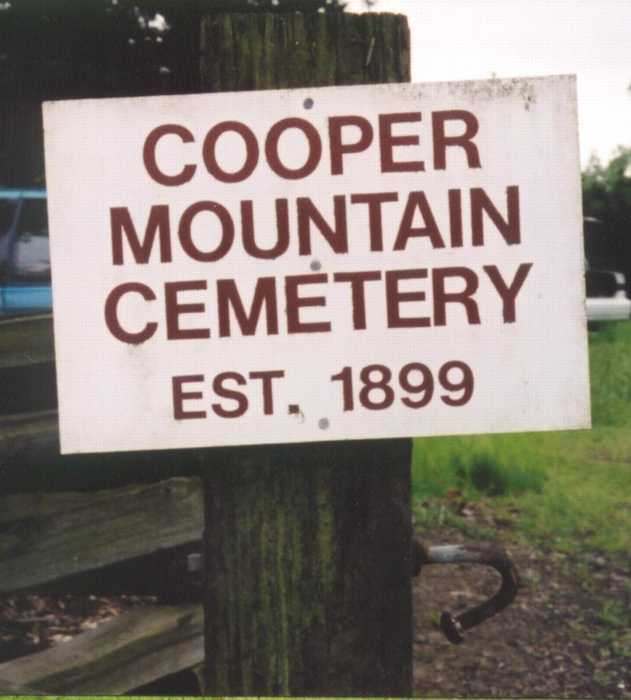 There are two cemeteries named Cooper Mountain Cemetery. They are about a mile apart. One on Kemmer Rd and one on Gassner Road. 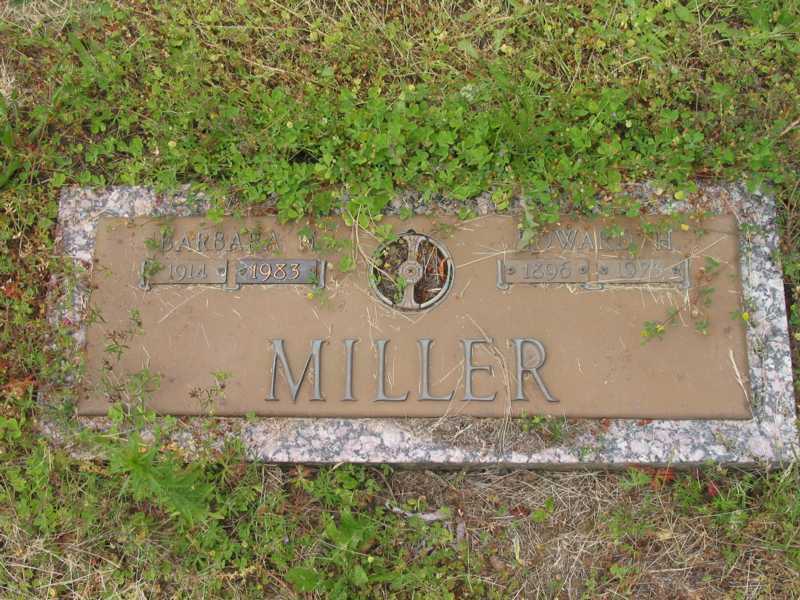 Initially I was confused as to which cemetery the Baker's and Miller's were buried in. 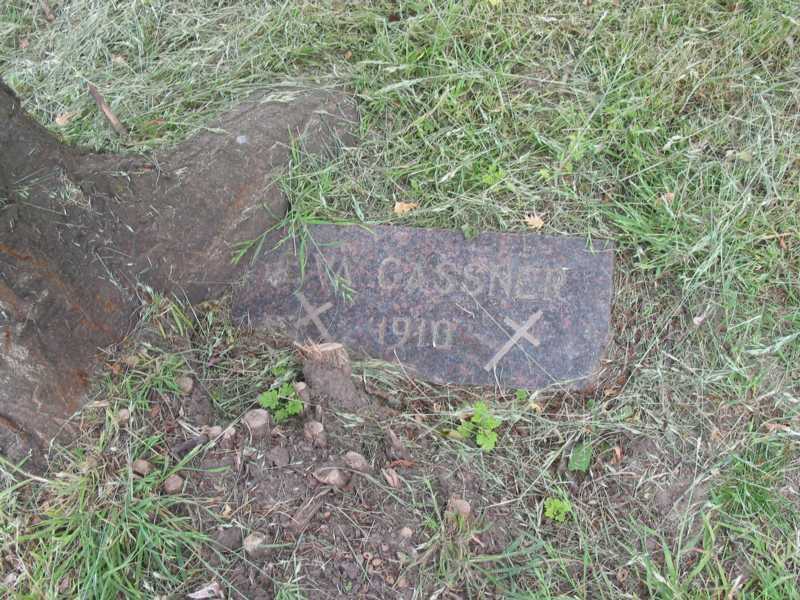 I finally realized that it was the Cooper Mountain Evangelical Cemetery on Gassner Road. Some of my early emails, which I show below, reflect that confusion. I talk about both cemeteries on this page because it turns out that at least one of Bette's cousins is buried at the Catholic Cemetery. I have a genealogy research task for you. First, have you looked at my web site that I started for the Baker family? 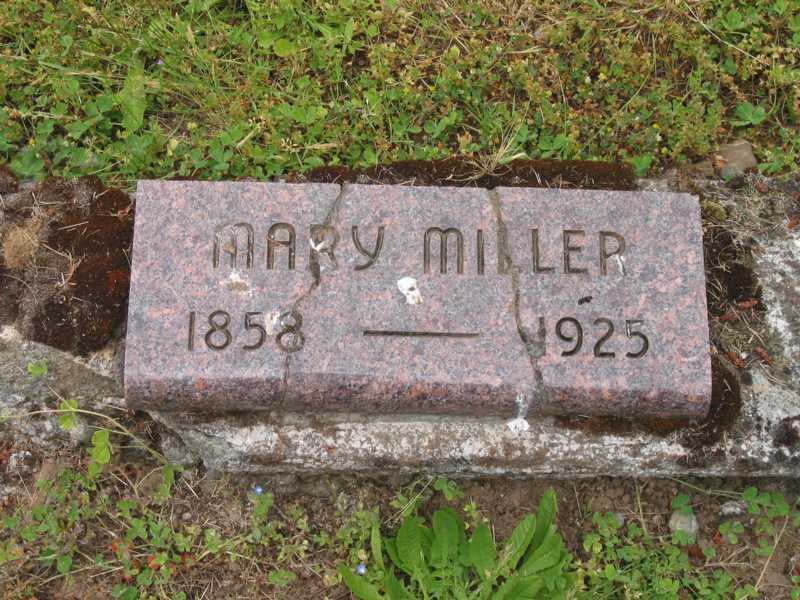 I've found alot of interesting new information about the Bakers but probably the most interesting is that your great-great-grandmother, Eliza Smith, and your great-grandaunt, Alice Smith Miller, both moved to Oregon and are buried in Cooper Mountain Cemetery. Your mom already knew that your great-grandmother, Laura Ann Smith Baker Young, had moved there. Looks like, from the death certificates, that arrangements for both were made by Pegg Paxson & Springer Funeral Home. Eliza died in 1920, Alice died in 1925 and Laura died in 1930. The Tombstone Transcription Project walked the cemetery in 2003 and put the list of people buried there on rootsweb.com. I looked at that list but Eliza and Alice were not on it. 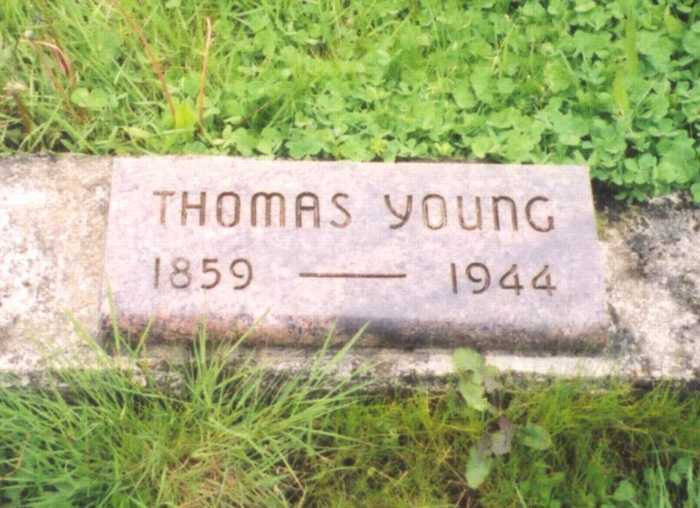 The 2nd husband of your great-grandmother, Laura Smith Baker Young, Thomas Young, is also buried at the same cemetery. If you have time, how about going by the cemetery and taking some pictures. I don't expect you will find their tombstones but take a look around. 1. your mom's uncle, Thomas Baker, may be buried at the Los Angeles National Cemetery. 2. A first cousin of your mom, Rufus O. Baker may have lived and died in West Linn, Clackmas Co. He died in 1984. I drove directly to the cemetery, via your location, and still had to stare about quite a bit to recognize that the big corner lot/field, was indeed a cemetery. I parked by the side of the road and pulled back a rickety gate (at least it wasn't posted "No Trespassing") and walked into a large field with less than a dozen grave markers. None belonged to our family members. Four basic families were represented, three of whom had streets named for them in the area and one additional Germanic sounding name. Our family members are now an indiscriminate part of a larger field. Enjoy. Thanks for doing the feet-on-the-ground work. I didn't figure the tombstones would be there. 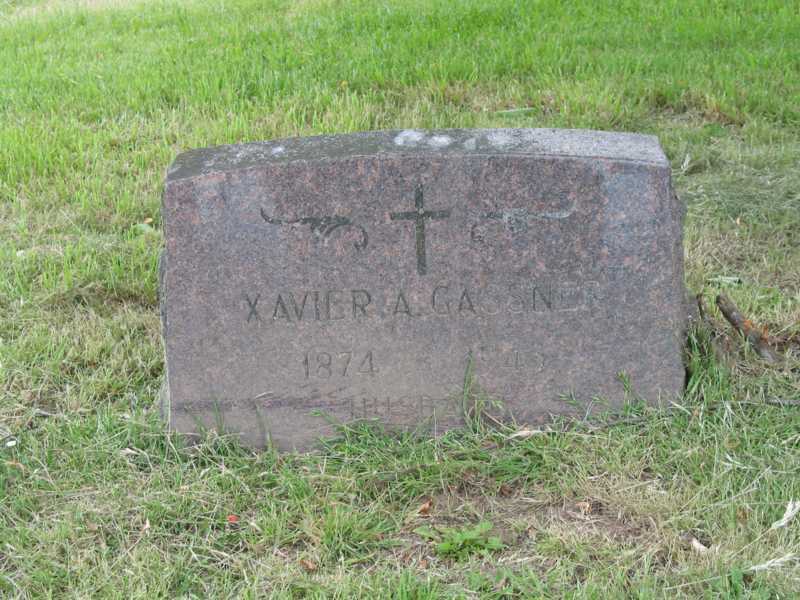 I might be interesting if you could find out if there are records regarding the cemetery still around. The grounds appear to be kept up so there must be a maintenance crew. If that much support in still in place, there may be plot maps available. It still might be possible to locate the graves even though the tombstones are missing. It would be an exciting task. 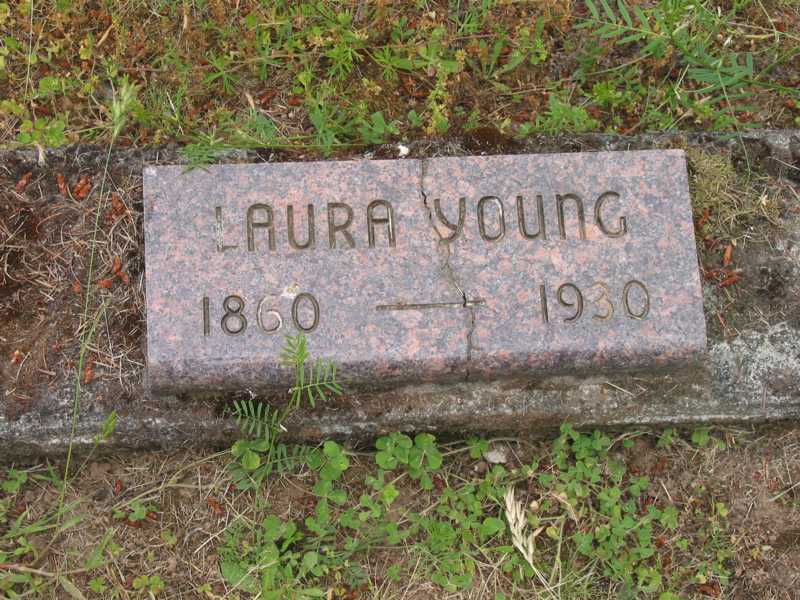 PS: Your great-grandmother, Laura Ann Smith Young is also buried somewhere in the Portland area. 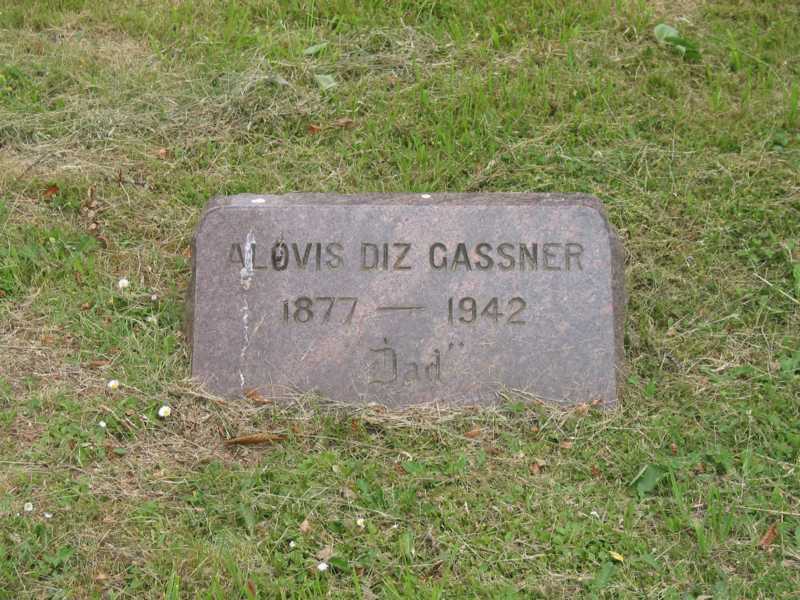 From her death cert, it appears to read "Davis" cemetery, although it is very hard to read. I need to do a little more checking. It does not come up on a Google search. Can I ask you to do a couple more Genealogy tasks when you have time? 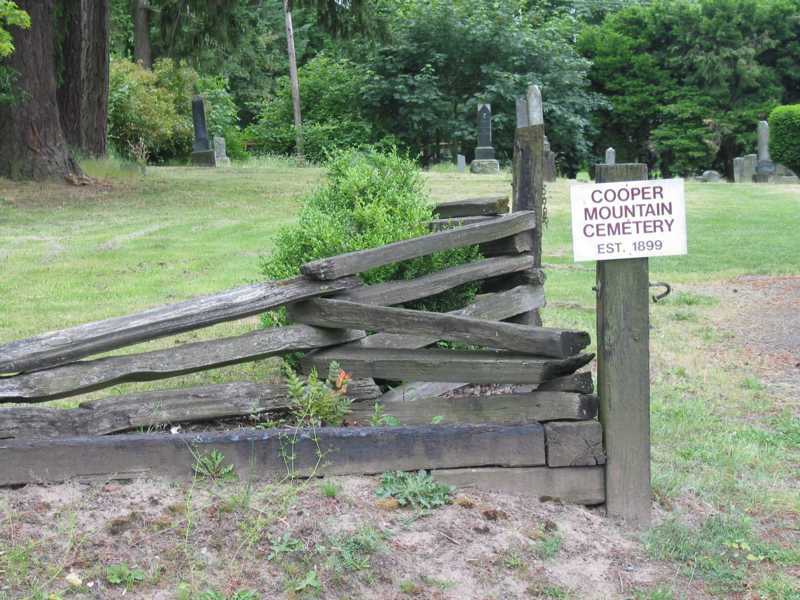 Since the Cooper Mountain Cemetery was not in good shape, we can try to find out if there are any records (like plot maps) for it. 3. who has records for it? Explain to them the situation and ask if they have any historical information about Eliza, Mary Alice or Laura. Laura Ann Smith Baker Young died: 28 Dec 1930 buried: ?? 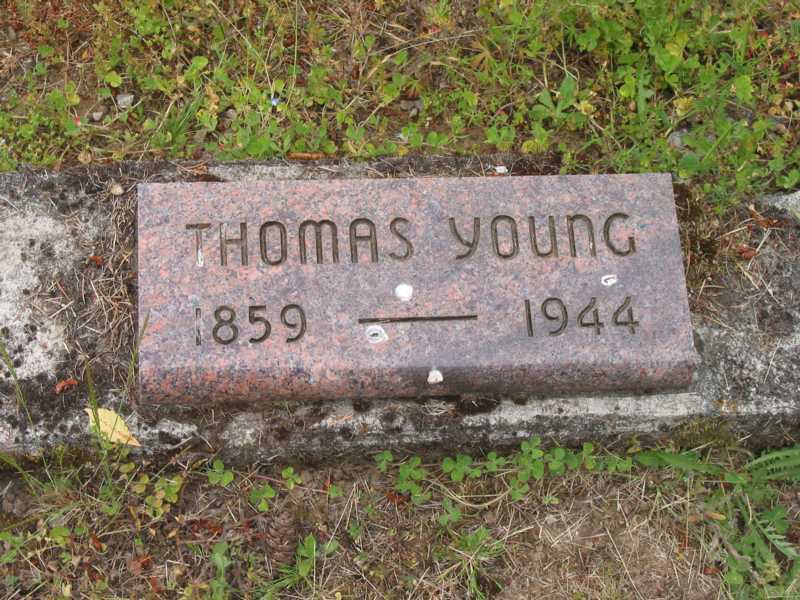 Bette thinks that Thomas Young was brought back to Aloha after his death to be buried next to his wife Laura. 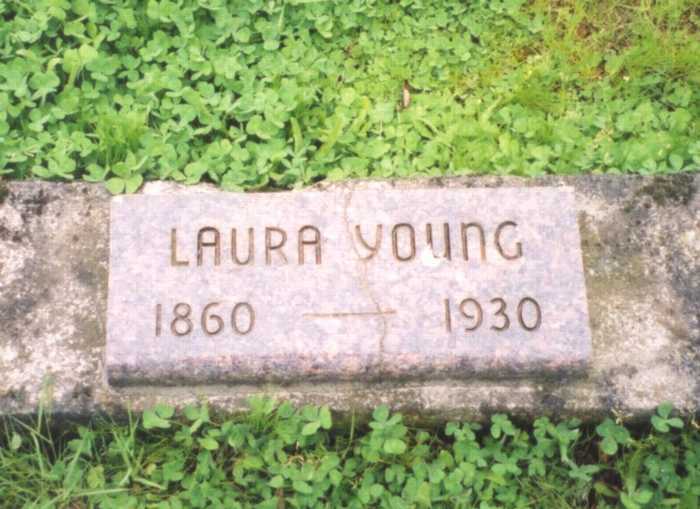 So that is why we think Laura is also buried at Cooper Mountain but we can't read any cemetery info from her death certificate. It was after these emails, that I realized this was the wrong cemetery. 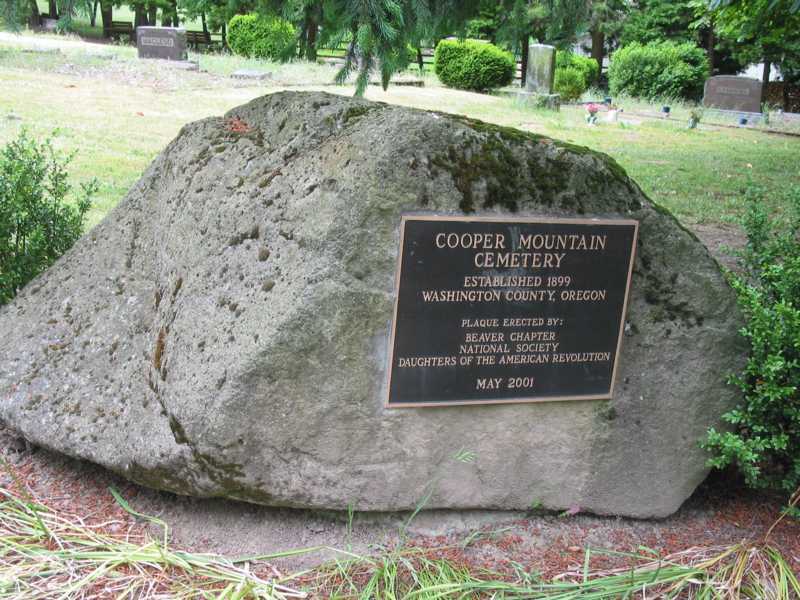 I visited the cemetery in Jun 2007 and a few photos are below (furthur down on this page is information about the 'other' Cooper Mountain Cemetery. Ron Tenison, Sue's husband, and I visited both of these cemeteries in June of 2007. Here are photos. These are Gassner's. Dora Lee Miller married into this family. 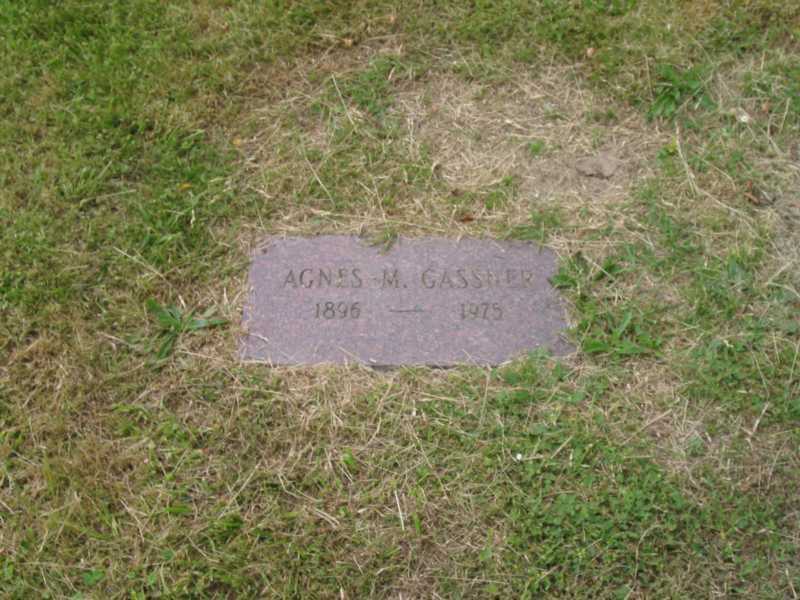 The other Gassner's are not related to Bette's family. 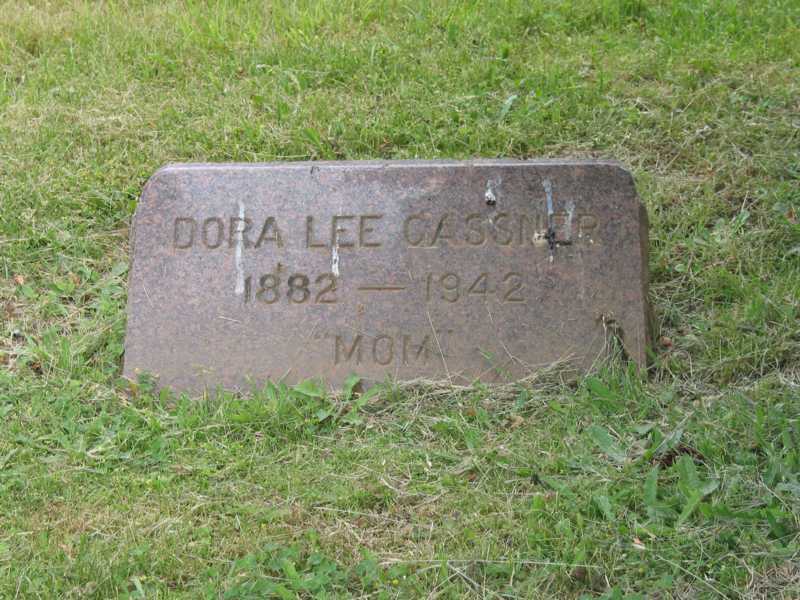 Dora Lee is the daughter of George Miller and Mary Alice Smith. Cindy Cole (cl_cndy yahoo.com), who has emailed me information, is their granddaughter. I may very well be sending this to the wrong person, and I trust you will let me know that. I found a note and a link from the Betty Clarno group discussing the Cooper Mtn. Catholic Cemetery (we call it the Kemmner Cemetery). I may have some info for you if there is an interest. 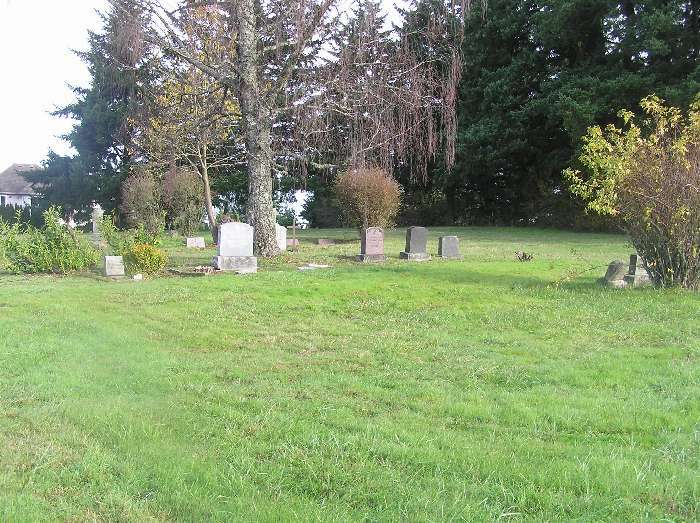 I am the charge person for the Beaverton Chapter of the D.A.R.whose community service annual project is to care for the cemetery usually in May, prior to Memorial Weekend. It is still owned by the Catholic Diocese of Portland and managed by the Greater Mt. Calvary Cemetery administration. Tabitha Moffat Brown Chapter of the Daughters of the American Revolution. 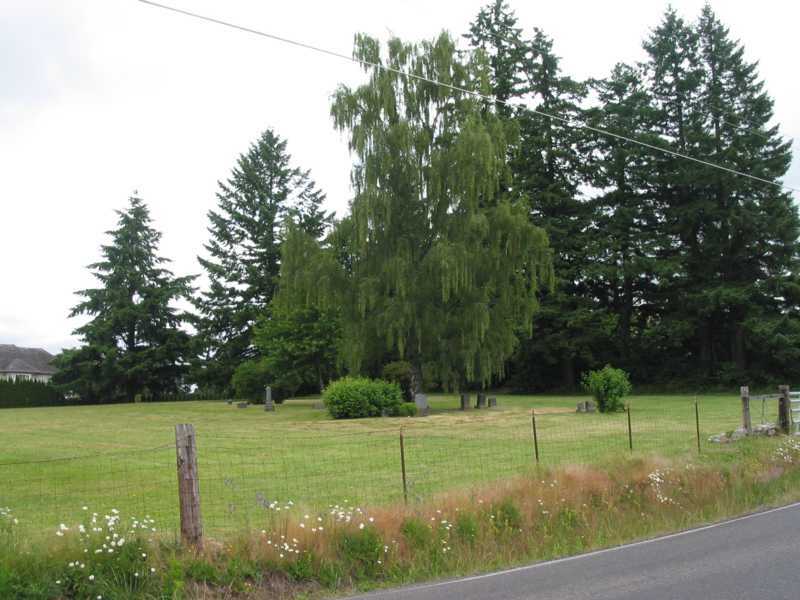 The Cooper Mountain Evangelical Cemetery is the one where Bette's grandmother, great grandmother and cousins are buried. It is on Gassner Road just east of Miller Hill Road. As I continued searching for info about Cooper Mountain Cemetery, I kept being pointed to St. Cecelia Catholic Church in Beaverton. 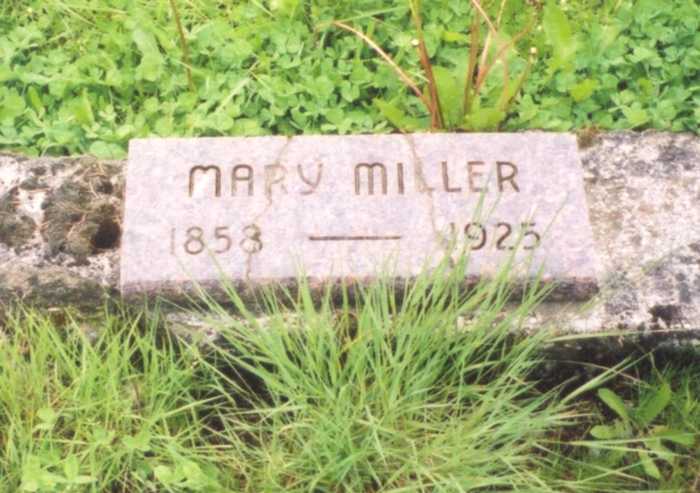 Well, I didn't think the Smith's and Miller's would be buried in a catholic cemetery! I finally figured it out. 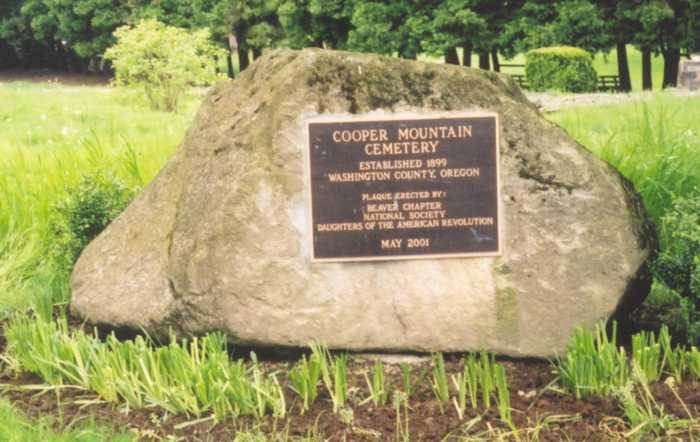 There are two Cooper Mountain Cemeteries. The one on Kemmer and another on Gassner Road between 190th and Miller Hill Road. This one is about a mile from the first. and there were Laura and Tom Young along with George and Mary (Alice) Miller. Eliza Smith, though, was not listed. 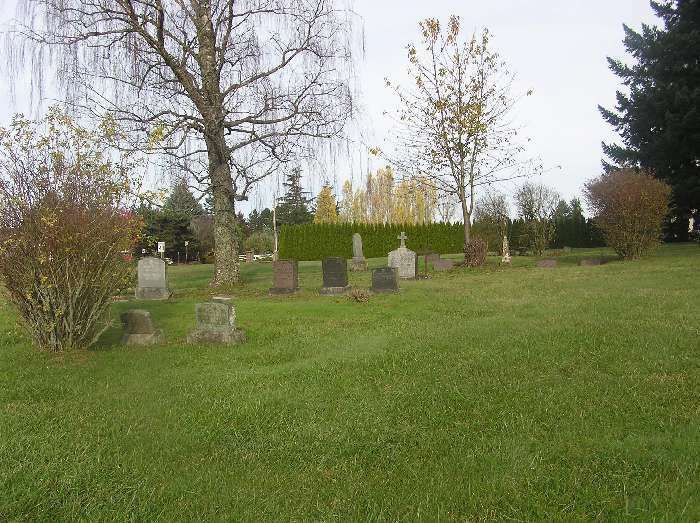 This web site described the cemetery on Grabhorn Road but I believe that is not correct. It is on Gassner Road. I just didn't believe that tombstones from a relatively short time ago would be gone as Sue found in the first cemetery. I knew we should be finding tombstones. 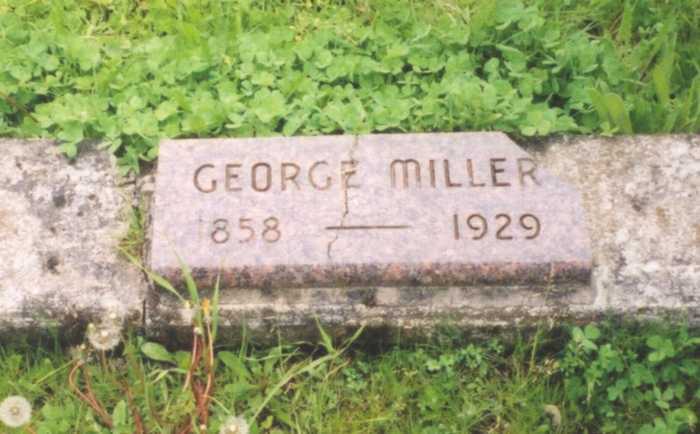 Edward H. Miller 1896-1973 --- This is probably Edwin H Miller, the son of George and Mary Alice Miller. So, Sue, how about another field trip to this cemetery? 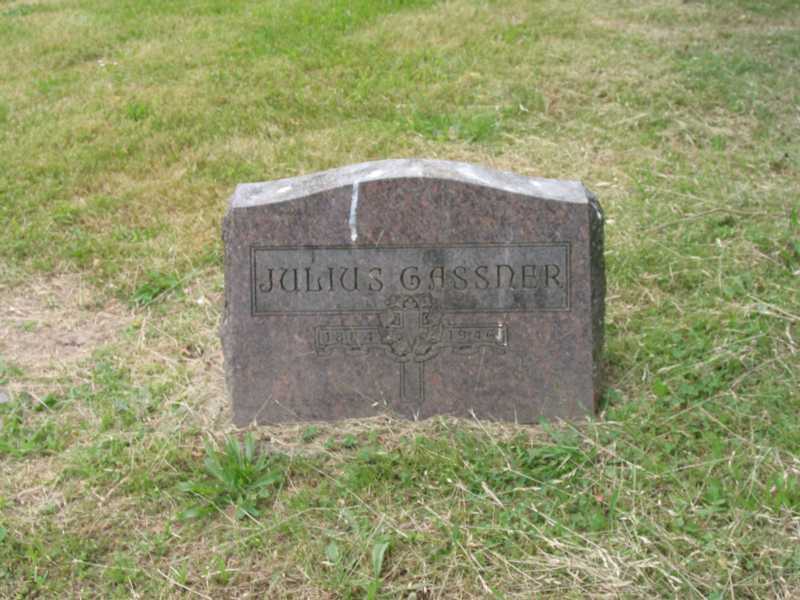 There are two newer transcriptions (2004) of this cemetery here. Mark's Note: These transcripts on this site are in some obscure format which my computer could not handle. 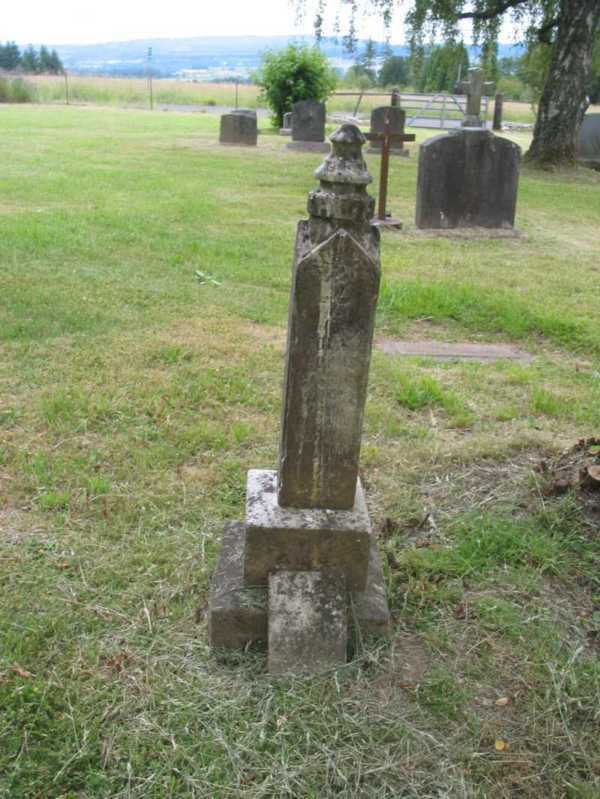 Here is another source for the transcription of Cooper Mountain Evangelical Cemetery. The interesting thing is that it lists Eliza Smith but her tombstone is missing. The plat numbers are in sequential order with the other Baker's and Miller's. Below on this page are the plat numbers. In Jan of 2006, I received a packet of information and photos from Cindy Cole. 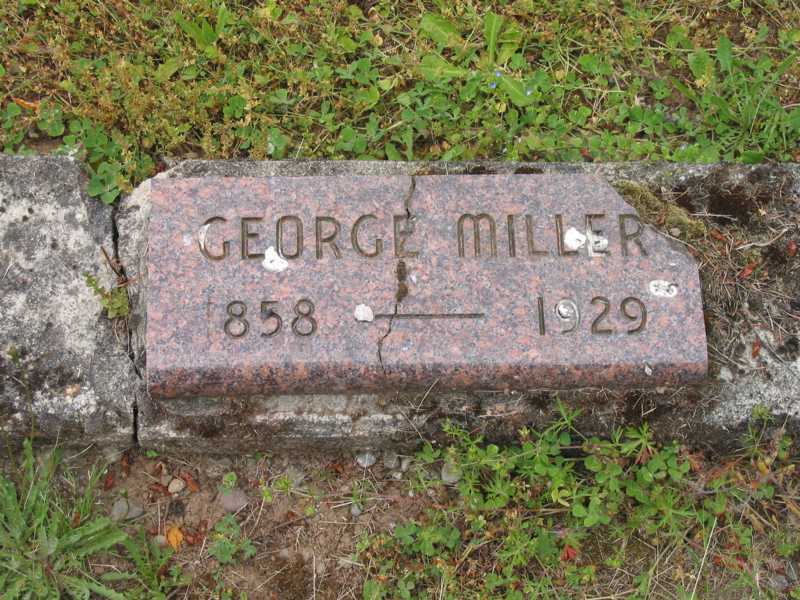 Cindy is descendant from George and Alice Miller. 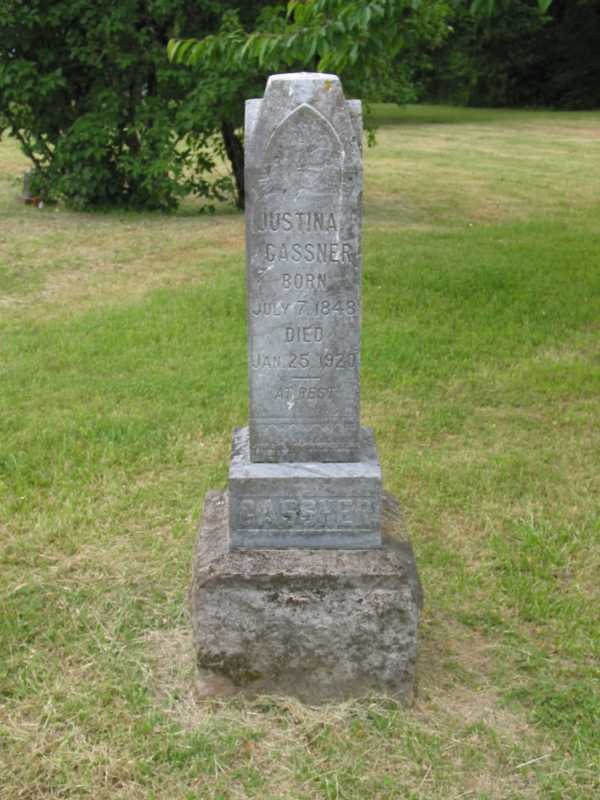 She had visited this cemetery and here are some photos. I don't know when they were taken. Ron Tenison, Sue's husband, and I visited both of these cemeteries in June of 2007. Here are photos. Some duplicate the photos that Cindy Cole sent me. Sign next to entrance driveway. General view toward the northwest. The row of tombstones in the next photo is at the center rear of this photo. 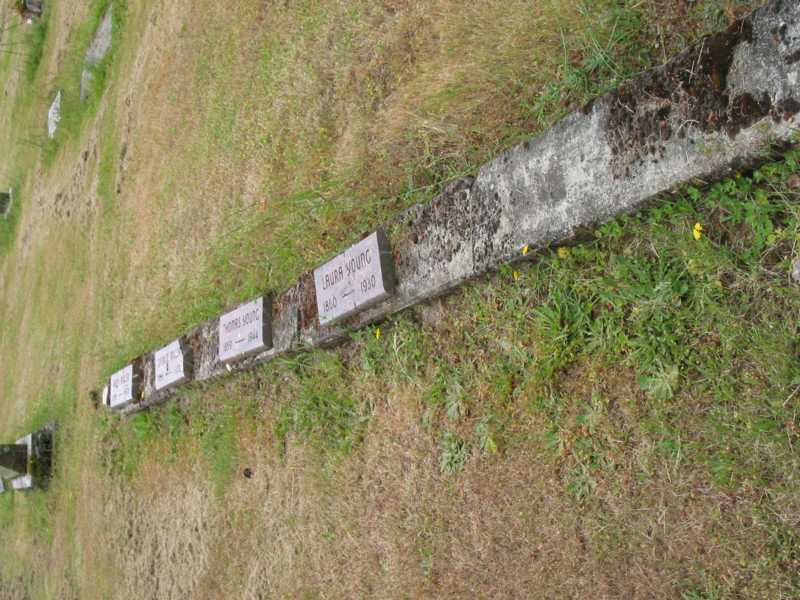 Here is the row of tombstones for the Smith - Baker - Young - Miller family. From left to right: Mary Alice Smith Miller , George W. Miller, Thomas Young, Laura Ann Smith Baker Young, Eliza Smith. 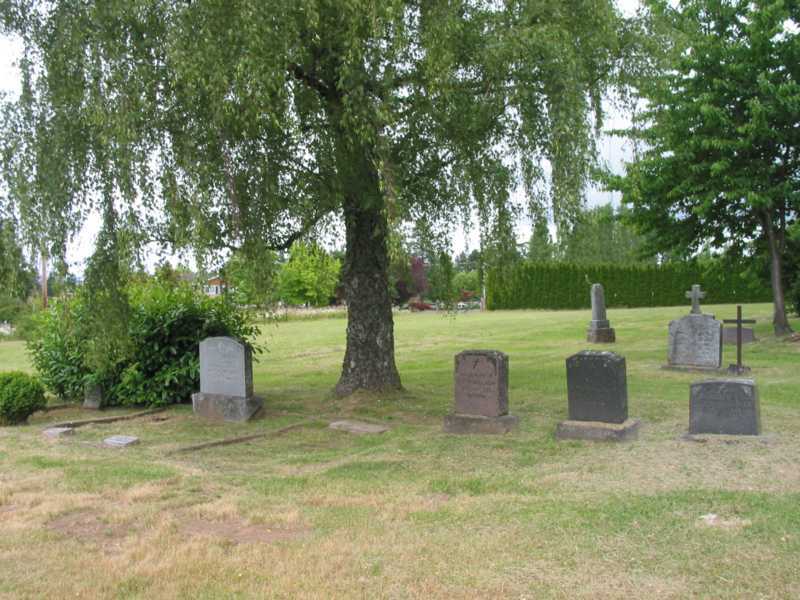 Note that Eliza's tombstone is missing in this 2007 photo Look below and you can see the new tombstone that we had erected for Eliza in 2016.
d. 28 Dec. 1930, age 70 yrs. 10 mos. d. 6 Aug. 1920, age 87 yrs. 7 mos (birth Jan 1833). 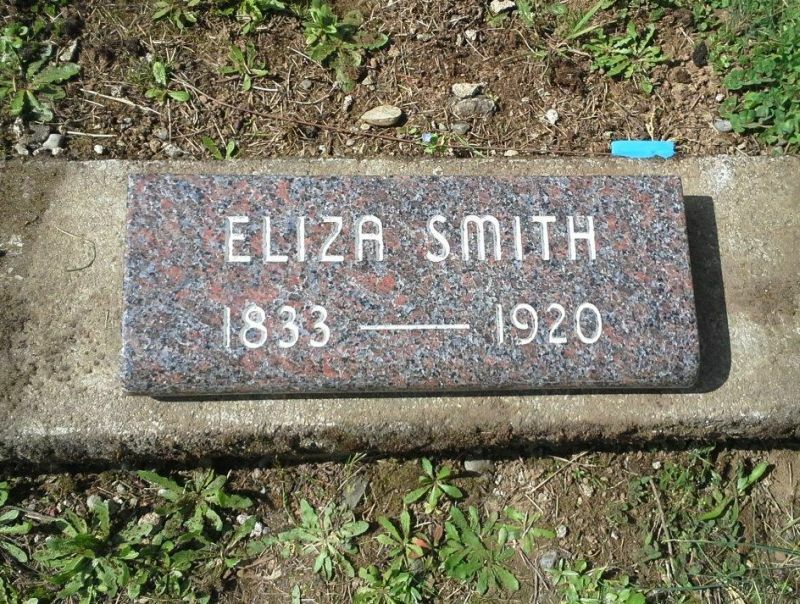 In late 2015, I ordered a replacement tombstone for Eliza Smith. It was erected in April of 2016. 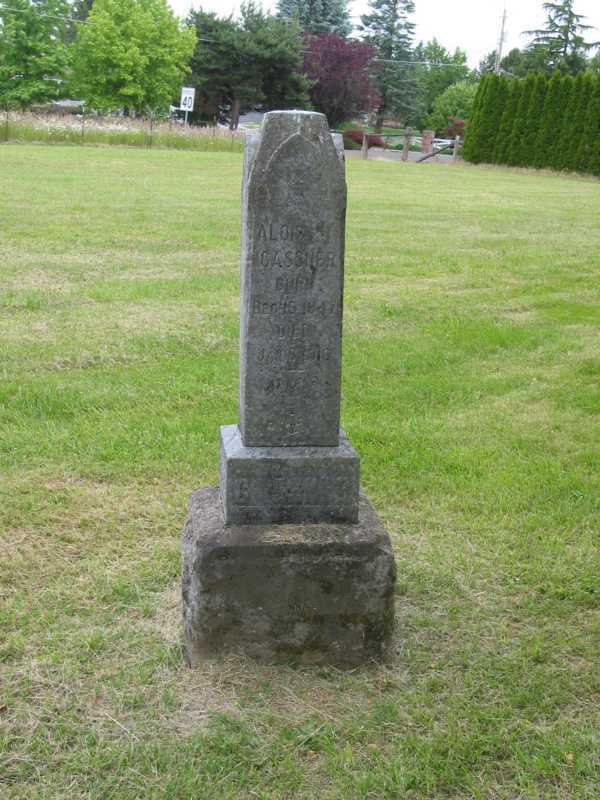 This is a photo of the new tombstone. Fabricated and installed by Vancouver Granite Works. d. 3 May 1973, age 76 yrs. d. 25 Apr. 1959, age 60 yrs. 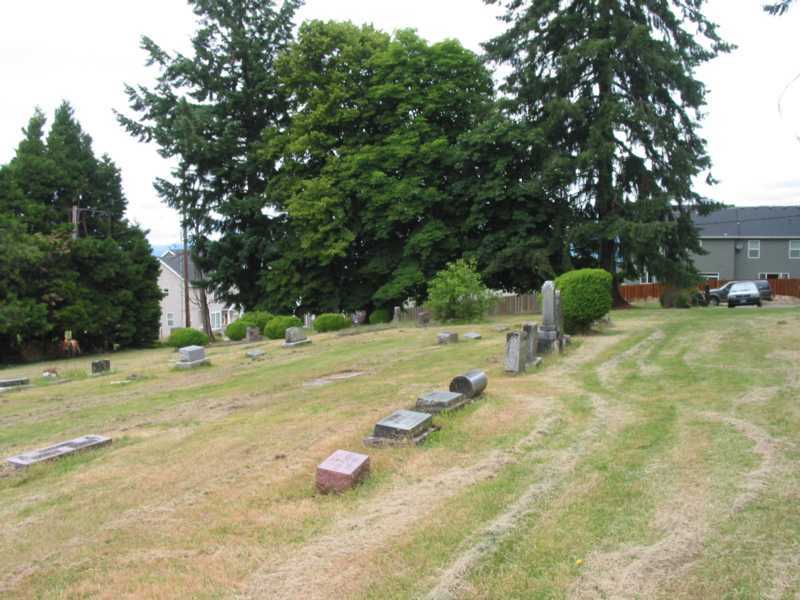 The cemetery is maintained by the Cooper Mountain Cemetery Association, which holds a plat, burial certificates for most graves and a spreadsheet database of burials. General Notes (These may be out of date and are here for reference ONLY).